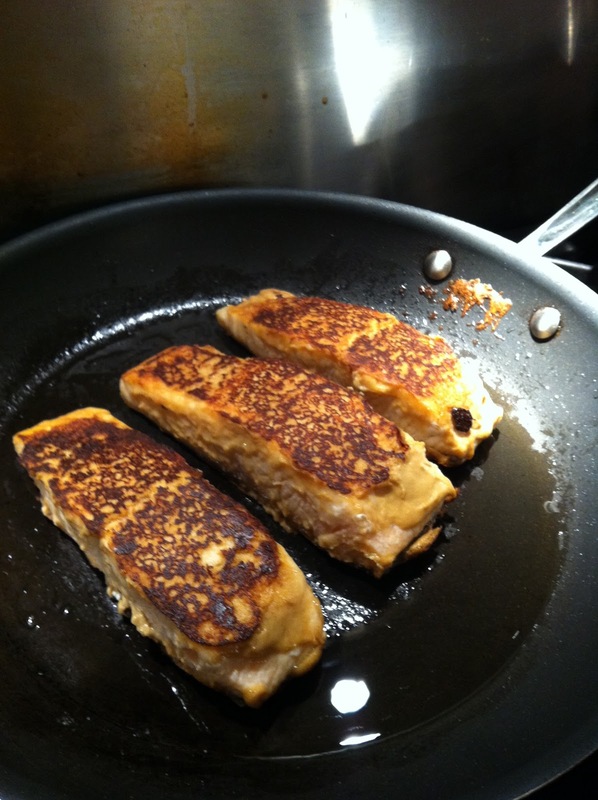 This surprisingly simple Dijon crusted salmon can be on the table in less than fifteen minutes. Coat the bottom of a nonstick fry pan with oil and put over medium heat. Cut your salmon filet into single size portions, sprinkle with more pepper than salt, dust with flour, and set on a plate skin side up. Dollop a tablespoon of Dijon mustard onto each piece and spread evenly with a rubber spatula before placing the fillets into the hot frying pan mustard side down…tongs works best. After five or so minutes spread the mustard the same way on the exposed side, flip, and in another five minutes remove and serve. Add some minced garlic to the mustard for even more flavor.